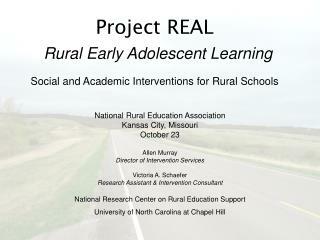 Of America’s almost 50 million public school students, 30% attend rural schools. 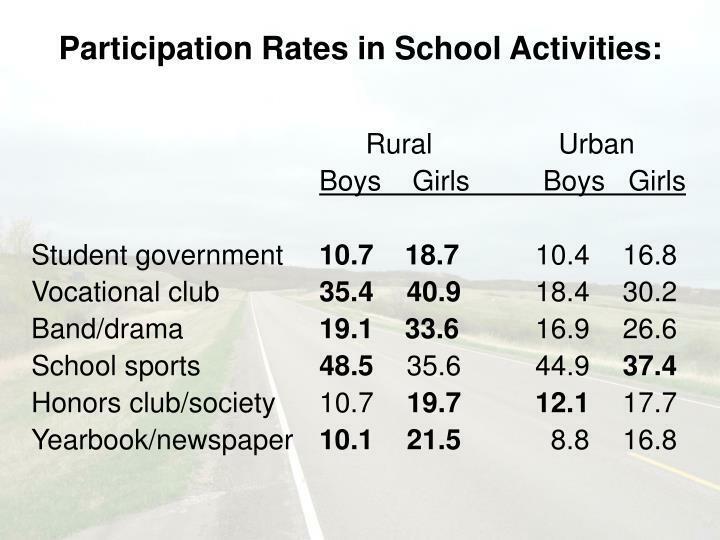 Despite their large number, rural schools and students from rural areas have not received the attention that urban and suburban schools have. 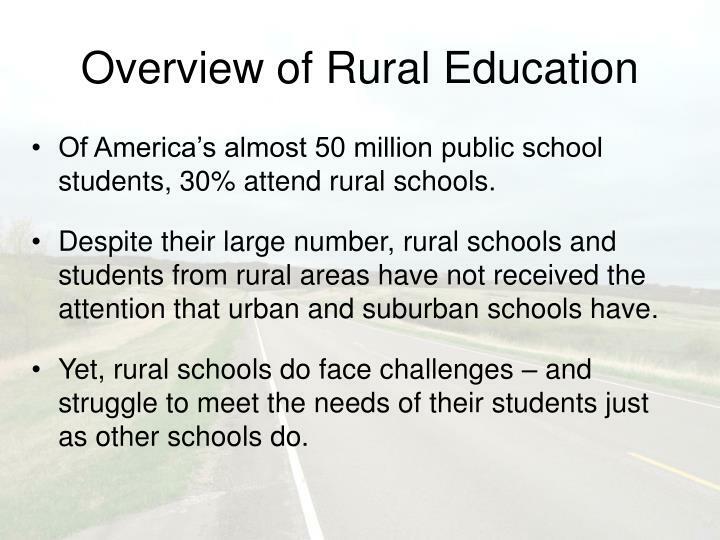 Yet, rural schools do face challenges – and struggle to meet the needs of their students just as other schools do. 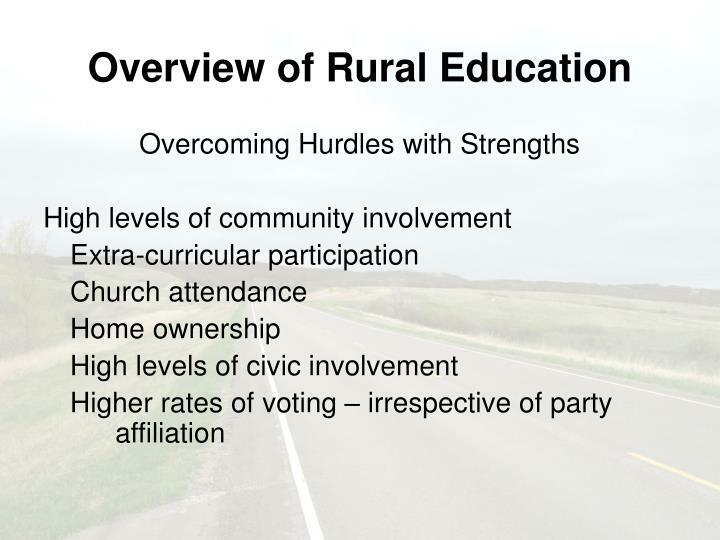 Rural challenges vary by region, which makes generalizations about “rural schools” inappropriate. 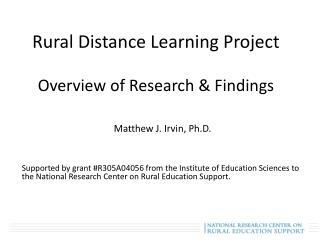 Rural Schools do have some common challenges, including teacher shortages, poverty, increasingly diverse student populations, and the financial and resource impact of large geographical distances between homes and communities. 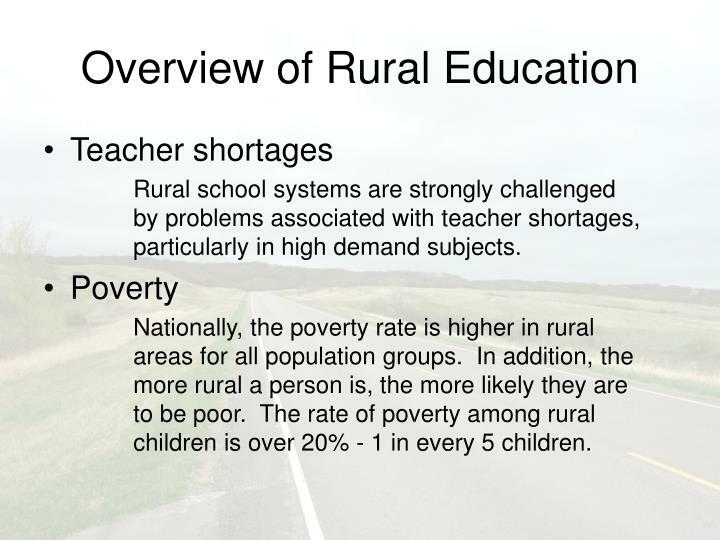 Rural school systems are strongly challenged by problems associated with teacher shortages, particularly in high demand subjects. Nationally, the poverty rate is higher in rural areas for all population groups. 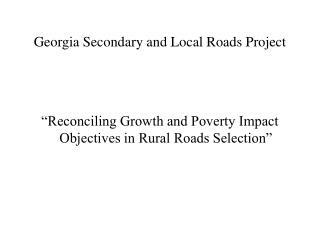 In addition, the more rural a person is, the more likely they are to be poor. The rate of poverty among rural children is over 20% - 1 in every 5 children. To be defined as persistently poor, a county must have a poverty rates of 20% or higher since 1970. 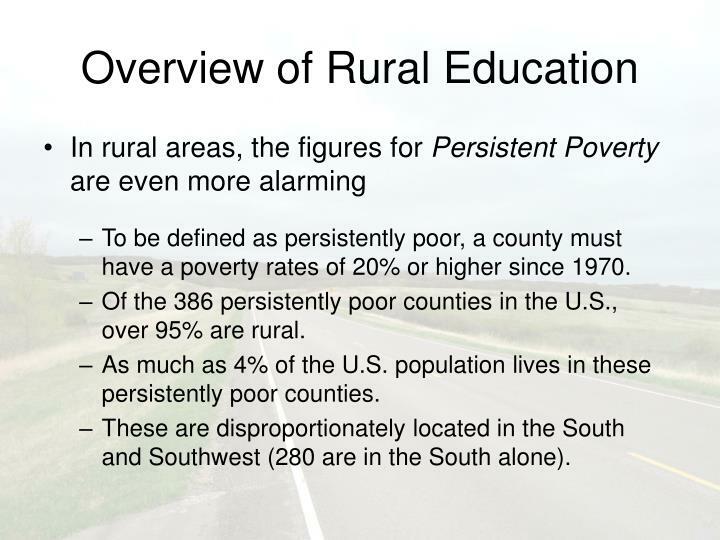 Of the 386 persistently poor counties in the U.S., over 95% are rural. As much as 4% of the U.S. population lives in these persistently poor counties. These are disproportionately located in the South and Southwest (280 are in the South alone). 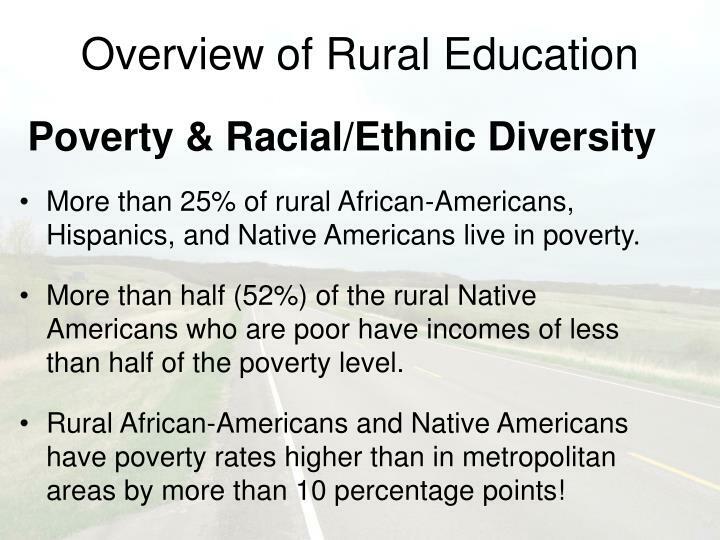 More than 25% of rural African-Americans, Hispanics, and Native Americans live in poverty. More than half (52%) of the rural Native Americans who are poor have incomes of less than half of the poverty level. Rural African-Americans and Native Americans have poverty rates higher than in metropolitan areas by more than 10 percentage points! The Department of Education estimates that 10 million children aged 5-17 speak a language other than English at home. 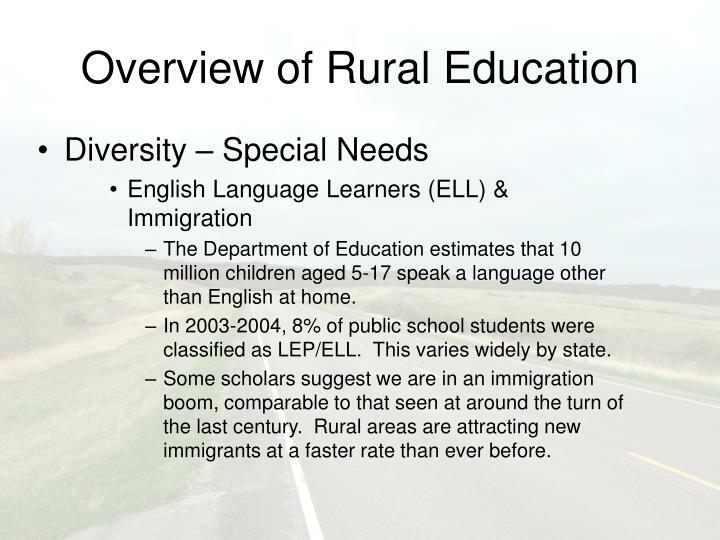 In 2003-2004, 8% of public school students were classified as LEP/ELL. This varies widely by state. Some scholars suggest we are in an immigration boom, comparable to that seen at around the turn of the last century. Rural areas are attracting new immigrants at a faster rate than ever before. Approximately 13% of all public school students have IEPs. This is slightly higher in rural schools. A large amount of staff time is consumed by travel, particularly for specialists (psychologists, OTs PTs, SLPs). 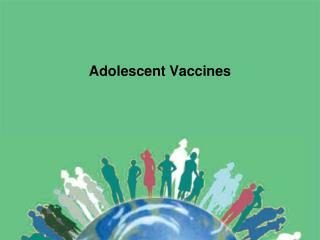 Financial impact of a low-incidence child or a child with significant medical needs is far greater than in non-rural areas. 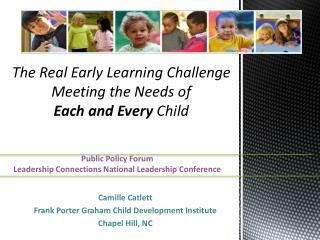 Issues of teacher recruiting, teacher retention, and staff development in specialized areas are magnified. Adjunct services from other agencies are less available. More cross-district programs are required. 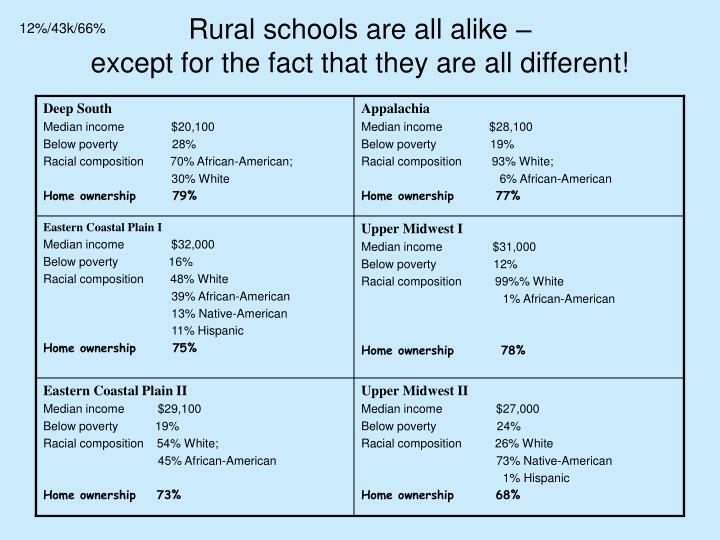 Rural schools are all alike – except for the fact that they are all different! 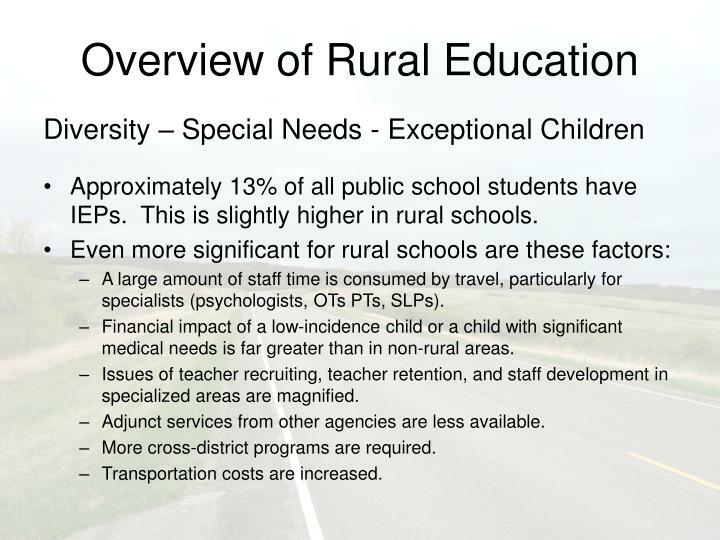 About Rural Students . . .? About Rural Teachers . . .? About Rural Parents . . .? 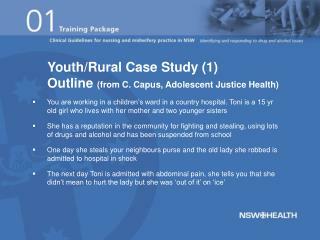 About Rural Communities . . .? 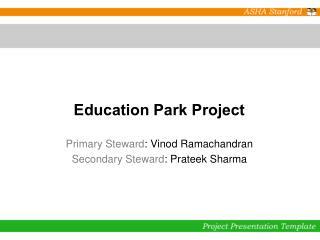 About Rural Students . . . ? 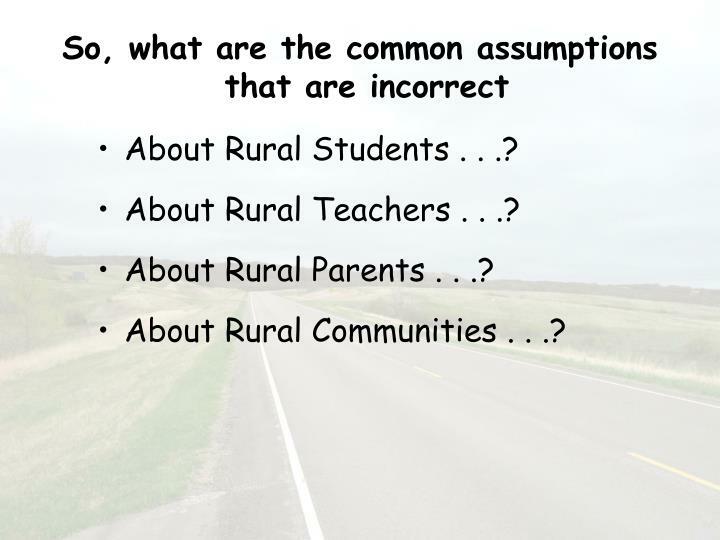 About Rural Teachers . . . ? About Rural Parents . . . ? 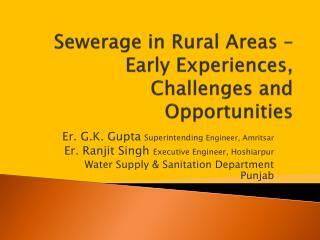 About Rural Communities . . . ? 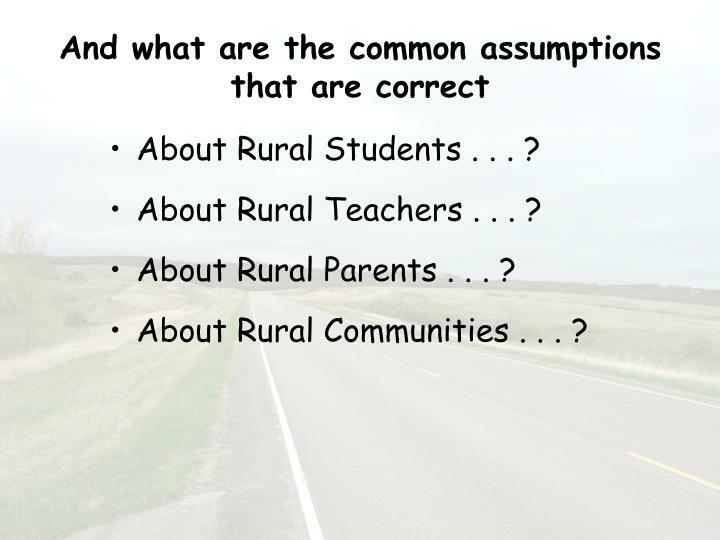 What are the similarities between rural and non-rural education? What are the unique challenges? The “stay vs. go” question and its implications for the role of public school? Teachers constantly are called on to adopt new techniques or curricula – though sometimes this is by their own choice, sometimes it is through no choice of their own. More than any other professional group, teachers work in isolation, with little opportunity to see others model a behavior. Teachers have an increasingly diverse group of students, both in terms of learning needs, language needs, and demographics. 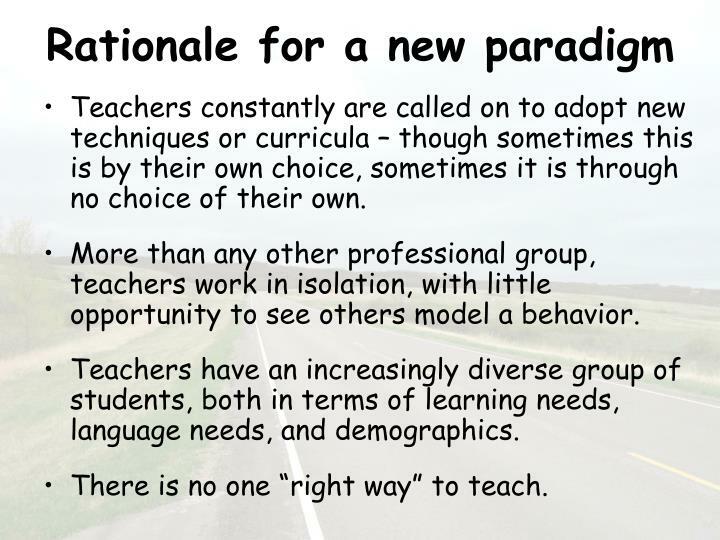 There is no one “right way” to teach. Adopting a new technique involves more than just technical proficiency. New techniques are adopted because someone believes they work. 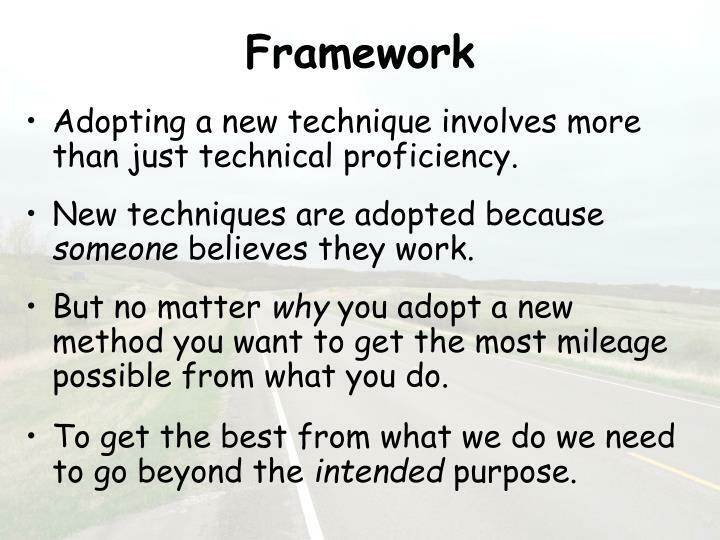 But no matter why you adopt a new method you want to get the most mileage possible from what you do. To get the best from what we do we need to go beyond the intended purpose. 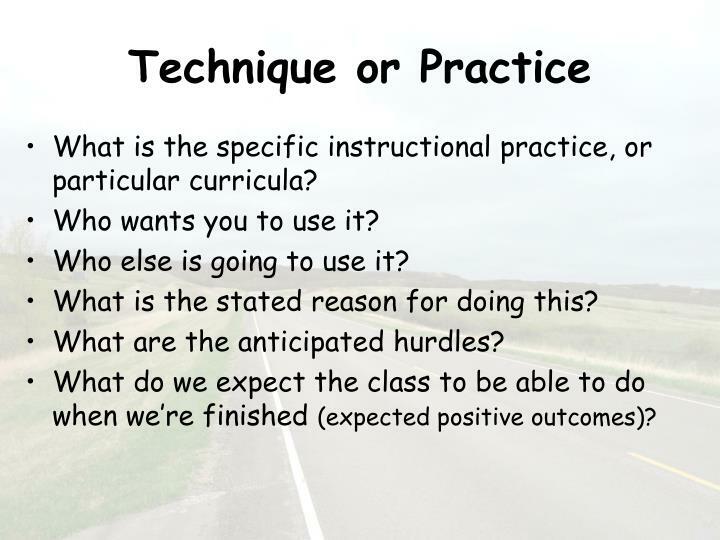 What is the specific instructional practice, or particular curricula? Who wants you to use it? What is the stated reason for doing this? What are the anticipated hurdles? 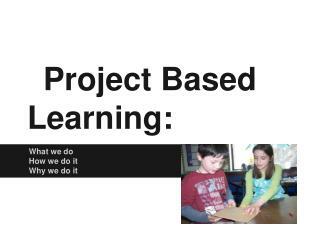 What do we expect the class to be able to do when we’re finished (expected positive outcomes)? 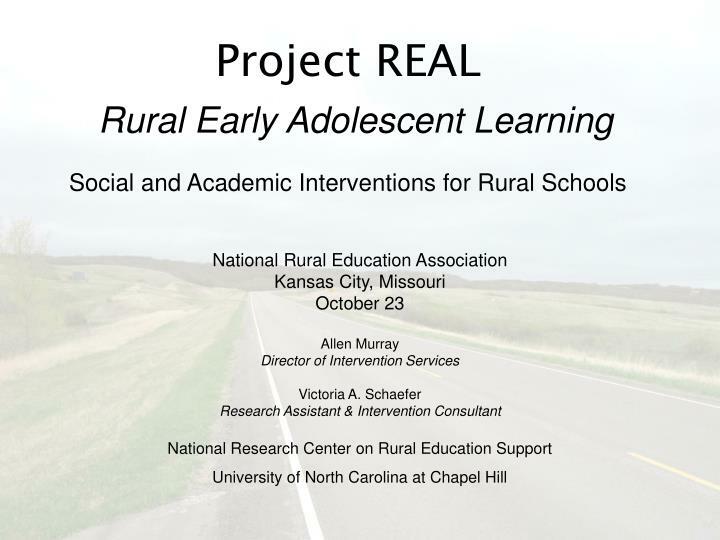 Was a particular strategy or curriculum written with a rural community in mind? Does this technique depend on either a wider variety of, or just different, experiences than your students may have? Are there issues in your community that make the adoption of any new strategy controversial? 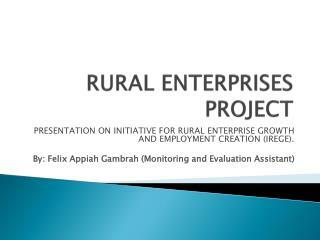 Which is more valued in most rural communities – stability or innovation? Is it common (due to small community size) for you to have social relationships with the parents of your students? How does this impact teaching of content? 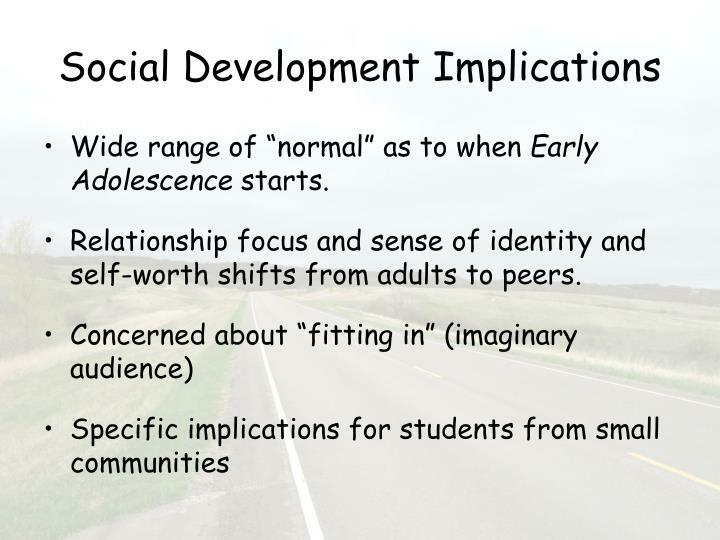 How does this impact teaching of social or behavioral curricula? Classroom - composed of a single ethnic group? 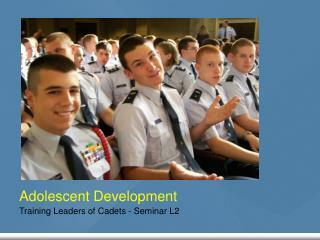 School - reflective of the larger community? Are minority students likely to be isolated? Does your school use a resource model for EC services, an inclusion model, or both? Are ECP students grouped on a particular team? If yes, is that team co-taught? 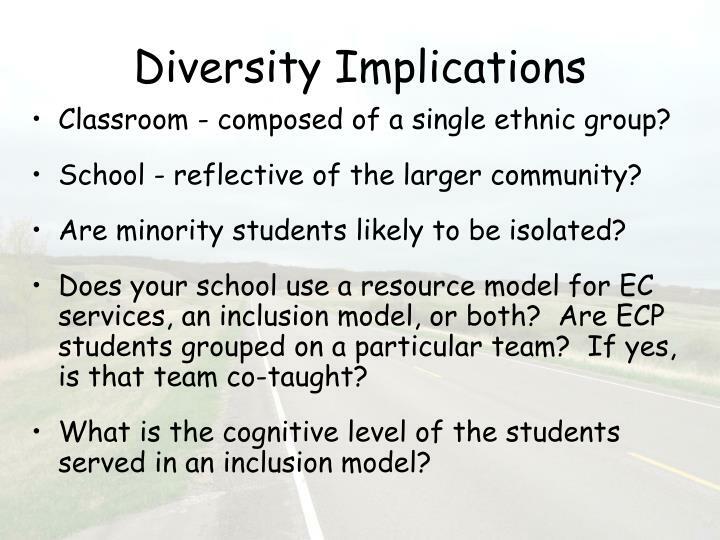 What is the cognitive level of the students served in an inclusion model? 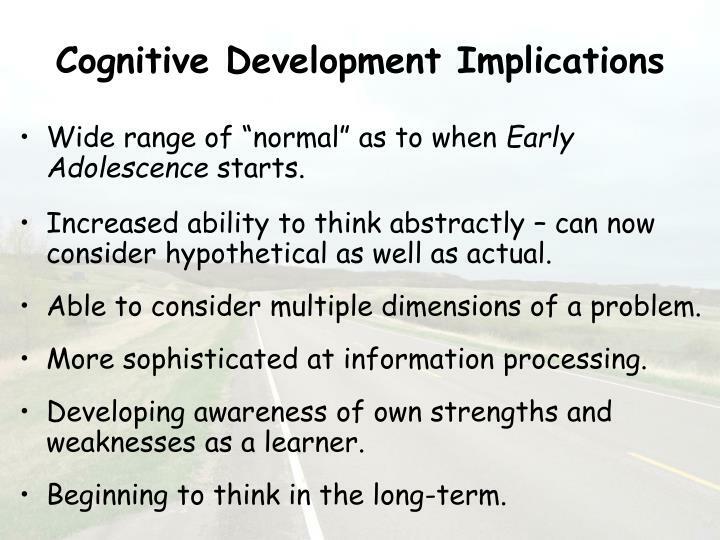 Wide range of “normal” as to when Early Adolescence starts. Increased ability to think abstractly – can now consider hypothetical as well as actual. Able to consider multiple dimensions of a problem. More sophisticated at information processing. Developing awareness of own strengths and weaknesses as a learner. Beginning to think in the long-term. 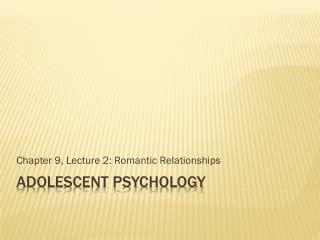 Relationship focus and sense of identity and self-worth shifts from adults to peers. Goodwin, A.L. (2002). 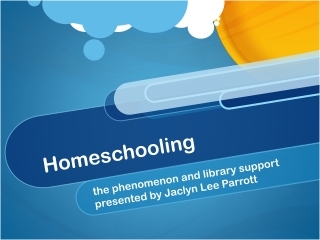 Teacher Preparation and The Education of Immigrant Children, Education and Urban Society, 34 (2), 156-172. The Secretary’s Fourth Annual Report on Teacher Quality: A Highly Qualified Teacher in Every Classroom. (2005). US Department of Education. 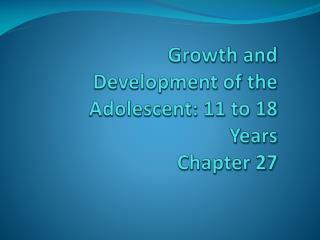 U.S. Department of Education, Condition of Education 2006, (2006). 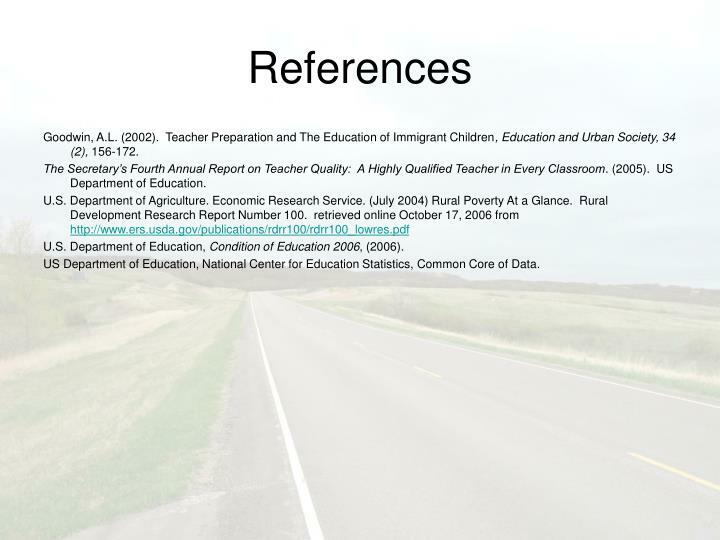 US Department of Education, National Center for Education Statistics, Common Core of Data. 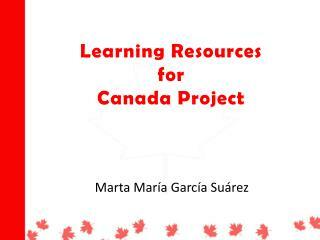 Learning Resources for Canada Project -. marta maría garcía suárez. what is a school trip?. a school trip is: a learning experience outside the classroom a school trip can be: virtual real. shared experiences. engagement. why?. 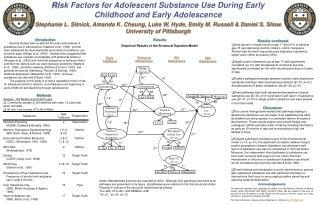 Ri sk Factors for Adolescent Substance Use During Early Childhood and Early Adolescence -Stephanie l. sitnick, amanda k. cheung, luke w. hyde, emily m. russell &amp; daniel s. shaw university of pittsburgh. 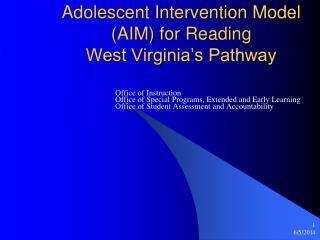 Adolescent Intervention Model (AIM) for Reading West Virginia’s Pathway -. office of instruction office of special programs, extended and early learning office of student assessment and accountability. consortium for reading excellence (core). 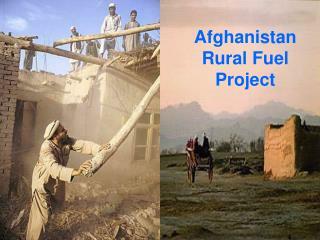 Afghanistan Rural Fuel Project -. displace opium cultivation with rural fuel feedstocks. renewable diesel fuel. 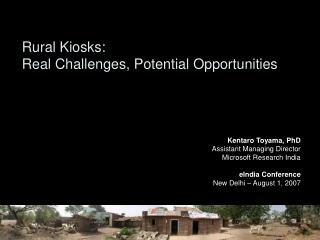 rural communities. energizing afghan. with the multi functional rural fuel platform m.f.r.f.p. rural electricity. clean water.